Samoussas Taïlou is a snack bar located in the gallery of the Saint-Benoît shopping centre. It offers sandwiches, Creole snacks, such as samosas, bouchons, spring rolls, stuffed peppers, various doughnuts and sweet creole snacks such as honey sweets, gâteaux patates (sweet potato and coconut cake), manioc or corn as well as sesame ball donuts. Food packs made up for tourists leaving La Réunion, and travel packs sent to Mainland France within 24 to 36 hours. 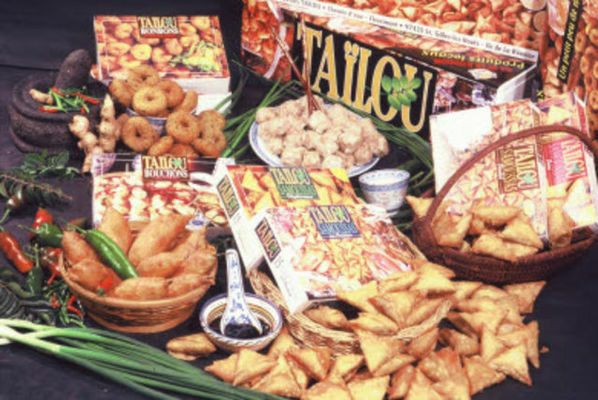 Samoussas Taïlou offers a catering service to order for snacks (samosas, etc. ), and cooked dishes for receptions and other events. Details available in the shop. Snack bar open every day - same hours as the shopping centre. Environment / Access : From Roland Garros Airport, take the expressway towards Saint-Benoît. At the first roundabout, head towards the shopping centre. Samoussas Taïlou is in the shopping area.